We'll kick off September by providing a link to an infomercial that Jim Rickards has just done. It is a fairly in depth interview that summarizes his views. 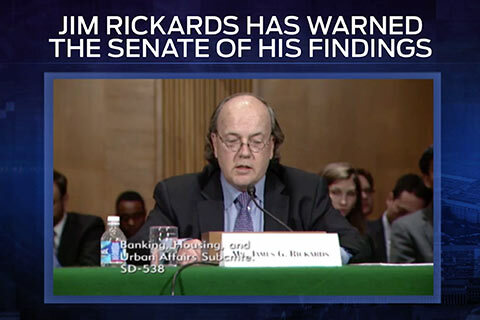 The interview emphasizes Rickards' background and experience in working for US intelligence agencies who consult with him on forecasting possible future economic scenarios. 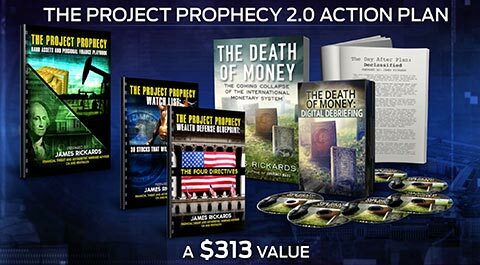 Readers should know this is an infomercial designed to get the listener to purchase a package of materials Jim Rickards has produced which includes his new book The Death of Money. Normally I don't link to this type of promotional material because I am not in the business of selling anything here. For the record, I have no affiliation with Mr. Rickards or any of the published materials he offers. I don't have affiliations with anything I link to on this blog, period. Just to be clear, by affiliations I mean an arrangement whereby I would receive compensation for linking to their product or service. By design, I receive no compensation of any kind from anyone related to articles I post on this blog. 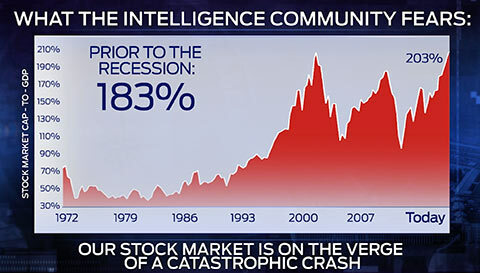 In this case I am providing the link because the free infomercial itself does provide quite a bit of useful information and some good charts and graphs Jim Rickards uses to make his points. It shows you how he backs up his opinions with factual data you can verify yourself, which I think is important. And Rickards does obviously have connections with the US intelligence agencies, which add credibility to his views in my opinion. Some, of course, take the view that Mr. Rickards may be a "disinformation agent" for those intelligence agencies. I disagree as noted in this article. But readers can decide for themselves. For those who may want to get his book, this infomercial will end with a sales pitch that offers you his book plus some other materials for about $40. The book itself sells for about $20 on Amazon so the extra materials cost about $20. I did order this package for my own benefit in preparing articles for this blog. For those who like Jim Rickards and want to get his book anyway, you will probably feel like this package is worth the $40. I felt the price was appropriate for the materials offered. It includes some additional material left out of his book and also his recommendations to people as to how to allocate their investments to prepare for what he thinks is coming. He also lists 7 "signposts" to watch for that will help let people know when the big changes might be about to take place. I will say that we have covered 5 of the 7 signposts here on this blog pretty extensively. He also adds a list of what he says are the safest banks and credit unions and the 10 safest cities in the US to weather an economic storm. Viewers can decide if they are interested in that information. For those unable to afford it, you can find a lot of what is in this material right here in the archived articles on this blog. For example, a couple of the 7 signposts mentioned are to watch the price of gold and to watch for final approval of the IMF reforms. We have covered both of those topics extensively here (without realizing they were on his list). But I have no problem saying that for those interested, the package of materials is worth $40 if you would like to have a comprehensive summary of Rickards forecasts and more detailed suggestions on how to prepare for the changes he sees coming. Regardless, the linked infomercial above is also a very good free overall summary of his forecasts and some of the data supporting his forecasts. He also provides some limited general comments on how to prepare. I will add that we have Jim Rickards forecasts on record here and we will track them over time to see how well he hits them into next year. Right or wrong, we will report it here. If his forecasts prove to be accurate, then people need to be aware of them and make what preparations they can ahead of time. If he misses on his forecast, we need that information as well to assess the reliability of his future forecasts. There are very few people who have connections "inside the system" who will discuss these issues in public. So we focus on people like Jim Rickards and Andrew Huszar here because they offer a credible alternative view to the conventional mainstream view for readers to consider. Added note (1-01-2015): A question I get here regularly is how can people prepare for the upcoming change. On January 1, 2015 I wrote this blog article to address that question. According to one of the top minds in the U.S. Intelligence Community, that is when the United States will enter the darkest economic period in our nation’s history. Does This Signal the End of the Dollar? Click here to see it…. During the shocking interview Rickards revealed the 5 dangerous “flashpoints” the Intelligence Community is closely monitoring that they believe will unleash this catastrophe. And he also described how it would all unfold. “I expect the first phase will appear as a nearly instantaneous 70% stock market crash. 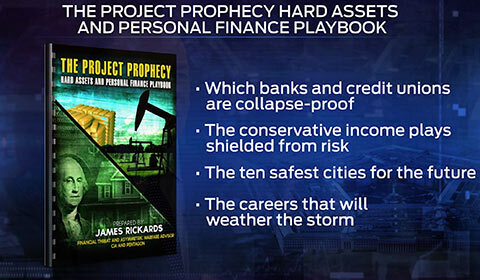 From the outside, nobody will see it coming.” Rickards explained. “Once it becomes clear that it’s not a flash crash – it’s a systemic meltdown in the economy itself, that’s when the gravity of the situation will sink in. And there will be no digging out from it. Along with his CIA responsibilities, Jim Rickards has spent more than three decades on Wall Street as a leading international investment banker, hedge fund manager, and as the architect behind the technology nicknamed “the brains” of the NASDAQ. This unique skill set has placed him at the center of some of the most important events in recent history. For instance, Rickards helped negotiate an end to the Iranian Hostage Crisis in the early 1980s. Then, in the late 1990s, despite being one of its most outspoken critics, the Federal Reserve called on him to step in to prevent a $1.25 trillion Wall Street meltdown during the Long Term Capital Management crisis. And after 9-11, the CIA tasked him with tracking down potential terrorist insider trading that took place prior to the attacks. This led to him helping lead a sensitive operation called Project Prophecy. The mission was to use the financial markets to predict pending national security threats from terrorists, rival nations, and from internal weaknesses lurking inside our economy. The system he built through Project Prophecy proved its accuracy on August 7, 2006, when it detected the warning signs of an impending terrorist attack. Three days later, in London, a plot to blow up 10 U.S. passenger jets was thwarted. And 24 Pakistani extremists were arrested. 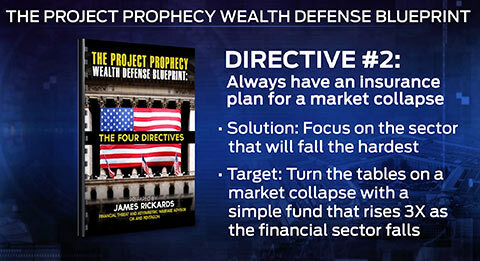 However, Rickards now warns that the next attack is going to come from within. And he is not alone in his fears. Warning: Emergency measures have already been put “in play” for this 25-year Great Depression. And Jim Rickards believes we can no longer stop this, we can only prepare for it. “Look at it this way. Americans are standing at the bottom of a very tall mountain – Mt. Everest, Mt. Kilimanjaro…they look up and see an avalanche barreling down. Determining the one snowflake that started this chaos shouldn’t be our focus. Recognizing the severity of the situation and moving to safety should be,” Rickards explained. Should the rise of conflicts across the Middle East and Ukraine serve as a warning sign that something much more dangerous is approaching? According to Jim Rickards, the CIA's Asymmetric Warfare Advisor, the answer is yes. In a startling interview he reveals that all 16 U.S. Intelligence Agencies have begun to prepare for World War III. Making matters worse, his colleagues believe it could begin within the next 6 months. However, the ground zero location for this global conflict is what makes his interview a must-see for every American. Take a few moments to watch it and decide for yourself. My name is Steve Meyers. And I want to thank you for taking part in this exclusive Money Morning interview with Jim Rickards, the Financial Threat and Asymmetric Warfare Advisor for both the Pentagon and CIA. 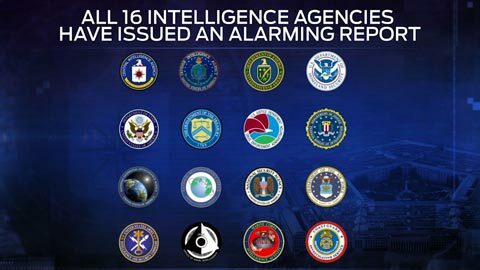 Recently, all 16 branches of our Intelligence Community have come together to release a shocking report. These agencies, that include the CIA, FBI, Army, and Navy, they've already begun to estimate the impact of the fall of the dollar as the global reserve currency. And our reign as the world's leading super power being annihilated in a way equivalent to the end of the British Empire, post-World War II. And the end game could be a nightmarish scenario, where the world falls into an extended period of global anarchy. 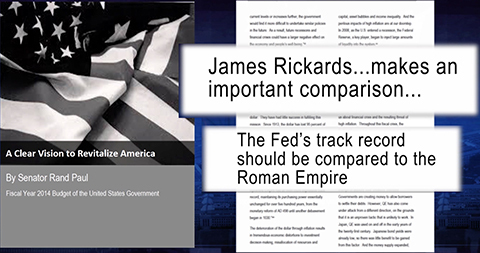 Jim Rickards fears he and his colleagues' warnings are being ignored by our political leaders and the Federal Reserve, and we're on the verge of entering the darkest economic period in our nation's history. One that will ignite a 25-year Great Depression. Today, we're going to examine everything he's uncovered because the bedlam could begin within the next six months. Which is why every American should hear his warnings before it's too late. Jim Rickards, thank you for joining us. It's my pleasure, Steve. Glad to be with you. In the early '80s, you were a member of the team that helped negotiate an end to the Iran hostage crisis. In the late '90s, when it was discovered that the Wall Street firm Long-Term Capital Management was about to cause a total collapse of the financial markets, the Federal Reserve had to turn to you in order to stop this catastrophe from plunging America into a recession. And then, after 9/11, you were tasked by the CIA with investigating potential insider trading that took place prior to the terrorist attacks. The problem was the CIA didn't have any capital markets expertise. Prior to the beginning of globalization, capital markets weren't really part of the battle space. So the CIA engaged in some outreach, they recruited certain people, myself included, to bring the Wall Street expertise to the agency. Could you get the information, and actually break up the plot, and save American lives? This system you built with Project Prophecy actually predicted a terrorist attack that was thwarted in 2006. On August 7, 2006, I got an email from my partner. She said, "Jim, we've got a bright signal on American Airlines. It looks like a possible terrorist attack." I was up at 2:00 in the morning in my study, watching CNN, and all of a sudden MI-5 and New Scotland Yard emerged to break up this terrorist attack. They were arresting suspects and removing files. So this showed that the system worked. However, it's not just good for predicting terrorist attacks, but also strategic attacks by rivals and enemies of the United States. For years now, you've been helping the Pentagon and CIA prepare for a rise in asymmetric warfare and financial threats, because today there are immense fears we'll be struck by – as you've described it before – a financial Pearl Harbor. Historically in Washington, the Treasury and the Fed take care of the dollar. 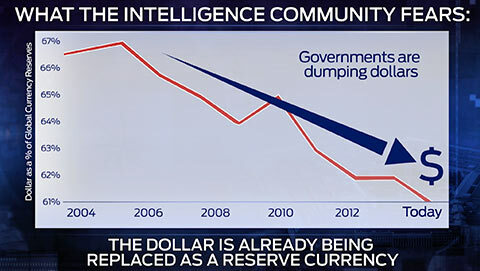 The Pentagon and the Intelligence Community take care of other threats, but what happens when the dollar IS the threat? The Fed has increased the money supply by $3.1 trillion. We have $17.5 trillion of debt. 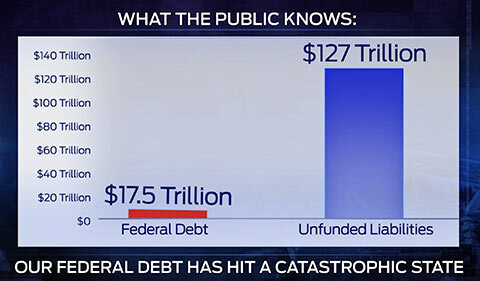 We have $127 trillion of unfunded liabilities. Medicare, Medicaid, Social Security, student loans, Fannie Mae, Freddie Mac, FHA. You go through the whole list and it goes on and on and on. There's no way to pay it. Debt can no longer be used to artificially grow our economy. During the boom years of the 1950s and 1960s, every dollar of debt that was created, we got $2.41 worth of economic growth. So that was pretty good bang for the buck. But by the "stagflation" of the late 1970s that relationship had actually collapsed. So now for a dollar of debt in the late 1970s, we were only getting $.41 in growth, so, obviously, that's a huge drop-off. You know what that number is today? 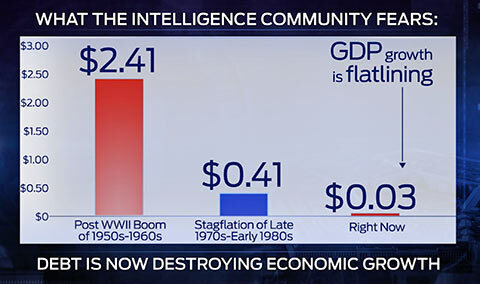 Today, we only get $.03 in growth for every $1 of debt. So we're piling on the debt, but we're getting less and less growth. It's soon going to go negative. This is a signal of a complex system about to collapse. This really speaks to what you wrote about in your new book, The Death of Money, the title strongly alludes to this, the hourglass is now empty. That the stock market could plunge overnight 70%. You know, when I use the phrase 25-year depression, it sounds a little extreme, but historically it's not. We had a 30-year depression in the United States from about 1870 to 1900. 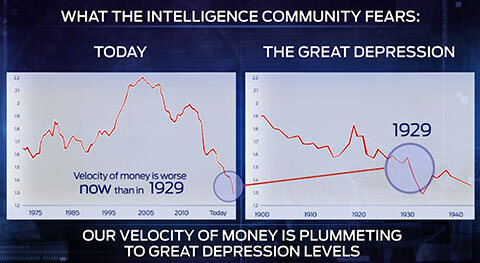 Economists actually call it the Long Depression. That was before the Great Depression. The Great Depression lasted from 1929 to 1940, so that was quite long. A lot of folks might disagree with you that we're currently in a depression. That word brings to mind images of the 1930s and soup kitchens. They're just at Whole Foods and your local supermarket, because 50 million Americans are on food stamps. It's not that we don't have distress. We have enormous distress, but it's being hidden in different ways. 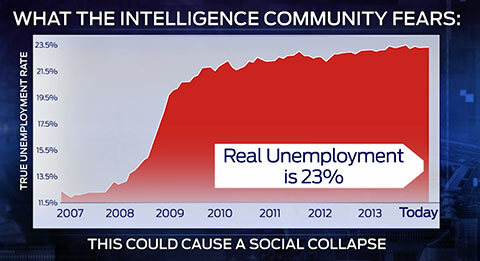 The unemployment rate today is actually 23% when you calculate it the right way. And you point the finger right at the Fed, Congress, and the White House. 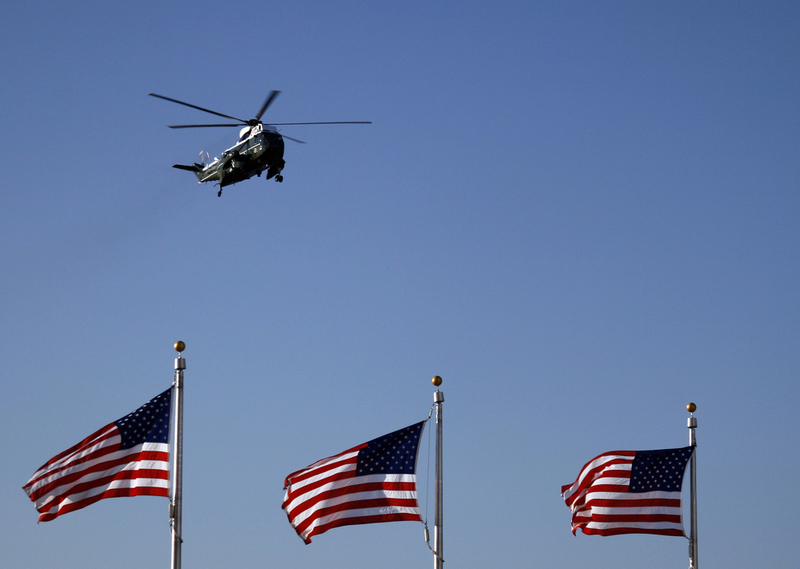 "The Fed and the Treasury are the greatest threats to national security, not Al- Qaeda." You people are destroying the dollar and it's just a matter of time before it collapses. And I testified before the United States Senate about this. But nobody thinks it's a good idea to send the Army Corps of Engineers out there to make the San Andreas Fault bigger. But by money printing, credit creation, and reckless monetary policy by the Fed, we're making the San Andreas Fault bigger every day. And when you make a complex system bigger – the risk doesn't go up a little bit – it goes up exponentially. So the risk is unimaginable at this time. The collapse hasn't happened yet, but the forces are building up and it's just about to snap. Is much different than what we're hearing out of Capitol Hill. Which is why the allegations you make in this book are causing quite a controversy in Washington. I was at a recent conclave in the Rocky Mountains with a couple central bankers, one from the Federal Reserve and one from the Bank of England. They'll say things privately that they won't say publicly. And I was handed a copy of Janet Yellen's playbook. Lie to us about economic prospects, talk about green shoots, use happy talk to try to get us to spend our money. The Fed doesn't know what they're doing. Don't ever think that they know what they're doing. You can print all the money you want, but if people are not borrowing it, if they're not spending it, then your economy is collapsing, even with money printing. Let's say I go out to dinner and I tip the waiter. And the waiter takes my tip and he takes a taxicab home. And the taxi driver takes the fare and puts some gas in her taxicab. Well, in that example, my dollar had the velocity of three. $1 supported $3 of goods and services: the tip, the taxi ride, and the gasoline. But, what if I don't feel great? I stay home, and watch television. I don't spend any money. Well, that money now has a velocity of zero. I leave my money in the bank, but I don't spend it. 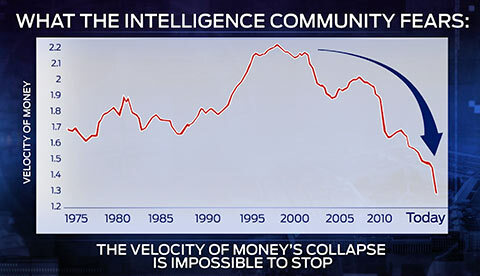 Let's look at what's actually happening with the velocity of money. It's plunging… It's going down very rapidly. But compare this decline of velocity today to what we saw leading up the Great Depression. 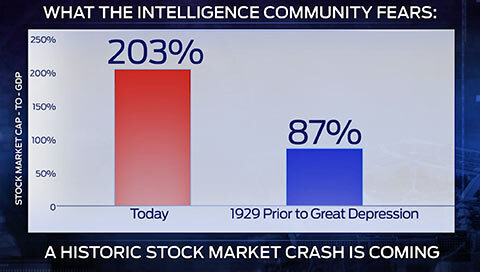 If you compare what's going on today to what happened in the late 1920s just prior to the Great Depression, there's a very striking resemblance. So, it doesn't matter how much money the Fed prints. Think of it as an airplane that's coming in for a nosedive. It's crashing… crashing… getting closer to the ground. But, unfortunately, it's not working, we're heading for a crash. We've just covered a lot of these startling numbers, these signals of this coming Great Depression. Let me see if I can quickly put it all together. Nobody denies that we have a debt crisis in this country, but you're saying we can no longer grow our debt without causing our economy to aggressively slow down. We're barely above water now. So that's signal number one. Signal number two is this dangerous slowdown in our velocity of money. It's already plummeting to levels not witnessed since the Great Depression in the 1930s. Are there any other signals the Intelligence Community is monitoring that suggest this collapse is right around the corner? 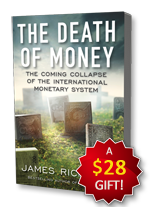 Editor's Note: Jim Rickards reveals the early warning signs the U.S. Intelligence Community is tracking in advance of this coming 25-year Great Depression in his book, The Death of Money. Money Morning believes this is a must-read for every American. So you can have a copy rushed to you for free. There are a lot of signals out there and they're very, very troubling. 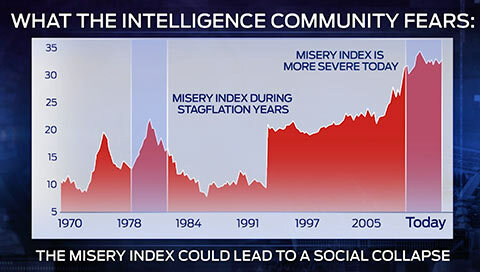 One of the ones I'm watching closely, and I know people in the Intelligence Community focus on also, because it covers so much ground, is called the Misery Index. 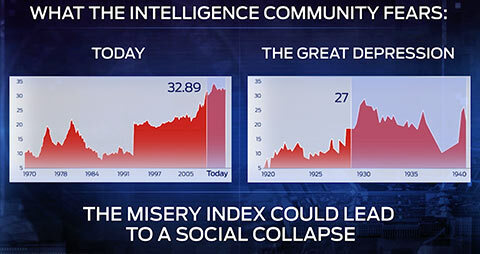 Take this back to the Great Depression… The Misery Index in the Great Depression was 27. Believe it or not, it's worse today than it was during the Great Depression. What happens as a depression worsens? Businesses can't pay their debts. The bad losses fall on the banks. The banks ultimately fail. The Fed has had to bail out the banks. But what happens when the Fed, itself, is in jeopardy? Based on these signals you've been tracking, the Federal Reserve is going to fail? The Federal Reserve actually, in some ways, already has failed. I spoke to a member of the Board of Governors of the Federal Reserve and I said, "I think the Fed is insolvent." This Governor first resisted and said, "No, we're not." But, I pressed her a little bit harder and she said, "Well, maybe." And, then, I just looked at her and she said, "Well, we are, but it doesn't matter." In other words, here's a Governor of the Federal Reserve admitting to me, privately, that the Federal Reserve is insolvent, but said, it doesn't matter, because central banks don't need capital. Well, I'm going to suggest that central banks do need capital. 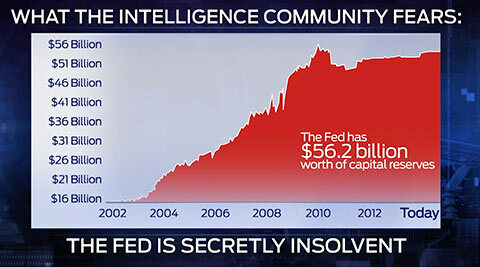 What it shows you is that the Fed has increased its capital they currently have about $56 billion. You say, "gee, $56 billion is a lot of money, that's a pretty good capital base." You have to compare the capital to the balance sheet. How much in the way of assets and liabilities is that amount of capital supporting. 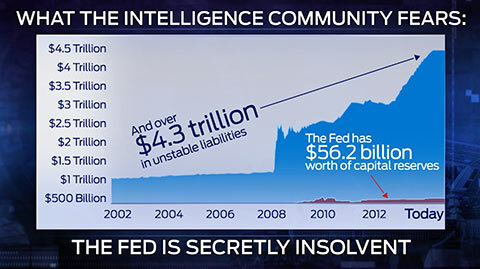 When you look at that it's a much scarier picture, because the actual liabilities, or debt, if you will, on the Fed's books is $4.3 trillion. Prior to 2008, the Fed's leverage was about 22 to 1. Meaning they had $22 in debt on their books for every $1 of capital. Today, that leverage is 77 to 1. So, yes, the capital has increased, but the debt and the liability has increased much more. Your warnings haven't gone completely ignored. In the budget he presented this year, Senator Rand Paul cited your work and how we've driven our economy to the edge of a Roman Empire-like collapse. In fact, we have footage of Senator Paul instructing Americans to listen to your warnings. Jim Rickards notes the Fed is insolvent on a mark-to-market basis. The Fed has wiped out its capital on a mark-to-market basis. Of course, the Fed carries these notes on its balance sheet at cost and does not mark them down to market. But if they did, they would be broke. First of all, I give Senator Paul Rand credit. He's one of the few people who understand the dangers here. But, the problem is not limited to the Fed. It's infecting the private banking system as well. 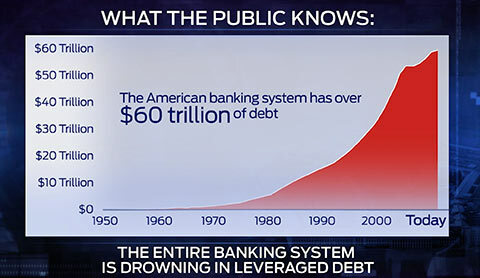 There's about $60 trillion of debt on the balance sheets of our banking system. For a long time, debt and the banks grew at about two times the rate of growth in the economy. But lately, this has exploded. Today it's up to 30 to 1. In other words, for every dollar of economic growth, there's $30 of credit being created by the banking system. I can give you a very good example of this and this actually comes from physics. If you had, let's say, a 35-pound block of uranium shaped like a cube, it would actually be fairly harmless. It's what we call sub-critical. It's radioactive, but it's kind of tame. But now imagine you engineer it. You take that 35-pound block. You take one piece and shape it into something about the size of a grapefruit. Take another piece, shape it into something like a bat. Put the ball and the bat in a tube and fire them together with high explosives. That sets off a nuclear detonation. The way it's been shaped and configured is what takes it from what we call sub-critical to super-critical. Jim, are you seeing any signs that our stock market has reached a super-critical state? We're seeing a lot of signs of this. One of the signs that's really fundamental, and really important, is the ratio of stock market capitalization to GDP. Because, remember, the value of all the stocks in the stock market, that's supposed to represent the fundamental economy. It's not supposed to be off in a world of its own. But if you look at what's been happening to that ratio recently, it's going sky-high. Go back to the famous tech bubble, the dot com implosion of 2000. At that time, it was 204%. 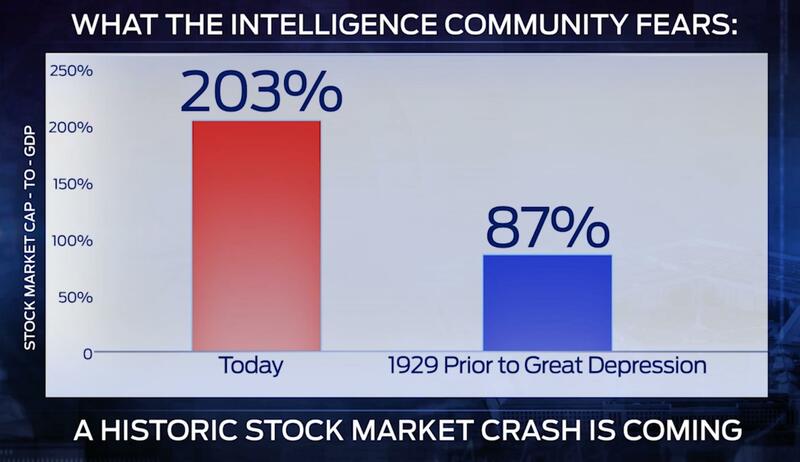 Just prior to the Great Depression that number was 87%. The stock market capitalization, as a percentage of GDP, is twice as high as it was just prior to the Great Depression. So, that's a really good metric for saying, "Hey, is the stock market heading for a crash?" All the data says, "Yes, we are." But there's another metric, another warning sign, if you will, that's even more frightening, which is the Gross Notional Value of Derivatives. There are a certain number of shares of IBM that are outstanding, but we know what that number is. But there's no limit on the derivatives. I can write options and futures on IBM stock all day long and all the other stocks on the stock market. 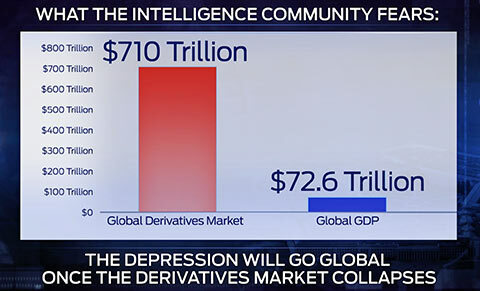 Now, the Gross Notional Value of Derivatives in the world today is over $700 trillion. Not billion. That's ten times the global GDP. So, we ask ourselves, how bad can this be? All that lost wealth was $60 trillion. The problem is now the system is bigger, so I would expect the lost wealth this time to be $100 Trillion – possibly a lot more. We're in this critical state, getting close to the super-critical state where the system implodes. But it takes a catalyst, it takes a flashpoint. There are a number of potential flashpoints I've investigated. Jim, in a few moments I want to discuss the steps Americans need to take with their investments and personal finances to prepare for everything you and your colleagues are predicting. But now let's quickly focus on some of these major flashpoints. One of the key flashpoints we're looking at is foreign ownership of U.S. government debt. Now, this is a very important thing to understand. We all know that the Treasury has issued over $17 trillion worth of debt, the question is who buys it? A lot of U.S. debt is owned by foreigners. Who owns it? Countries that are not necessarily our friends. But they can dump it when they want to. Well, guess what, that's actually what's been going on. Recently, foreign holdings of U.S. government debt have been plummeting. But it gets even more interesting than that. And we said, you can see not only market action, but rivals, enemies, terrorists and others, operating in financial markets. So, we all know that Russia invaded Crimea in the spring of 2014. Let's say you're Putin. You know you're going to invade Crimea. You can expect U.S. financial sanctions. You basically mitigate the impact of the sanctions, start dumping treasuries in advance so that when you make your move and the Treasury tries to come against you, you've insulated yourself. 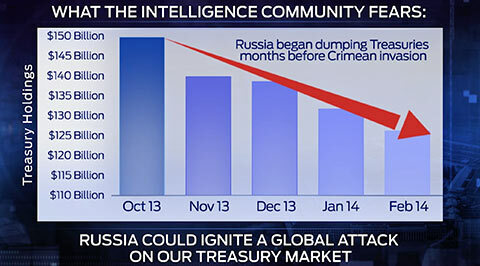 So go back and look at October 2013, here's Russia dumping Treasuries month after month. To engage in financial warfare against the United States. But guess what? It's worse than that. We know the Russians and Chinese are working together. The Chinese started dumping also? Does the Intelligence Community have the ability to defend our country in the event that this escalates even further? 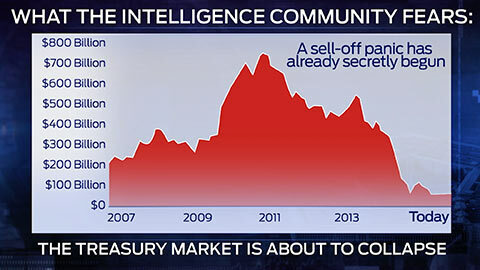 Believe it or not, there's an intelligence unit inside the Treasury. And they actually have a war room. That tells you that financial warfare is here and it's real. Who is going to buy all this debt? Well, a mystery buyer has shown up. In the hundreds of billions of dollars of U.S. government securities. 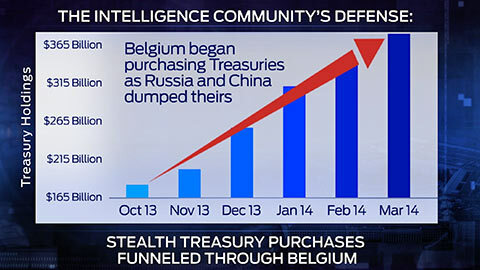 So Belgium started loading up on treasuries, coincidentally at the exact same time Russia and China began dumping theirs? These amounts are bigger than the Belgian current account surplus. These are not Belgian dentists who are buying these things. You know, could it be the Fed itself? Maybe the public doesn't know who the mystery buyer is, but the national security community does. For now, they have managed to prop up the treasury market. But they're not going to be able to keep pulling these rabbits out of a hat, there's a limit. 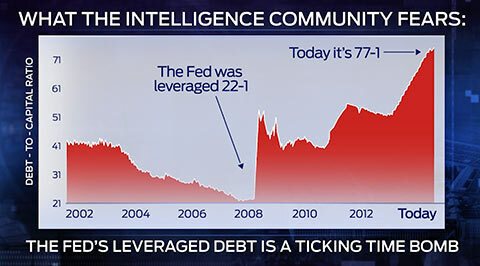 This should be very scary, because if the Fed is tapped out – we talked earlier about how the Fed is leveraged 77 to 1. So the Fed is at the limit of what they can do. 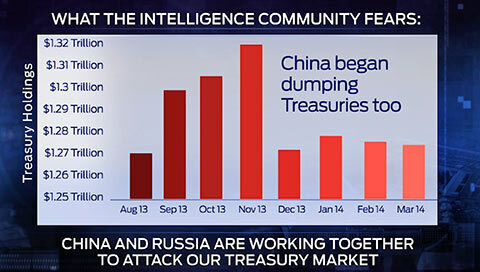 The foreigners are now dumping treasuries and if no one buys it, guess what, interest rates go up. That'll sink the stock market, that'll sink the housing market. Higher interest rates mean the debt gets higher, so interest rates go up some more. So you start a death spiral and there's no way out of it. An attack on our treasury market is obviously a very serious flashpoint that could ignite this Great Depression you predict in your book. Let's talk about another flashpoint. What I call flashpoint number two has to do with the petrodollar. Can you explain what you mean by the petrodollar? It's basically a system whereby oil exports are priced in dollars. Oil doesn't have to be priced in dollars. It could be priced in euros, Japanese yen, Swiss francs, gold. It could be priced in a lot of things. But, in fact, the whole global oil market is priced in dollars. I was actually very close to the birth of the petrodollar system. My first visit to the White House on official business was in 1974, with a small group, about five of us. We met with Helmut Sonnenfeldt, who was the Deputy National Security Advisor at the time. He was the number two to Henry Kissinger. At the beginning of the '70s oil was $2 a barrel. 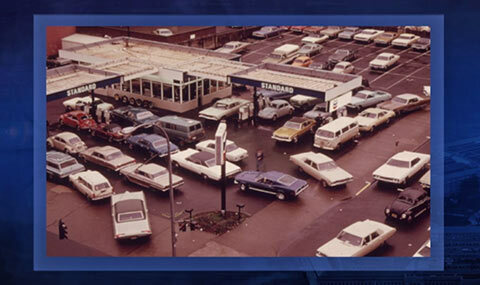 At the end of the '70s, oil was $12 a barrel. The price of oil was skyrocketing. Inflation was getting out of control. You know, a certain generation of Americans remembers this very well. We were in the White House talking about what to do about this. One of the scenarios we discussed was the U.S. military would invade Saudi Arabia. We would secure the oil fields and create a military perimeter around them. We would pump the oil and set it at a price that was favorable to us. Now, we would give the money to the Saudis. We didn't want to steal their money. We didn't want to steal their oil. We just wanted to set the price. Now, fortunately, that plan was not carried out. But it shows you how desperate things were at the time. Why did we not invade Saudi Arabia? Well, the answer is Kissinger and the Saudis worked out a deal. And the Saudis said, "Okay, we'll price oil in dollars, so that secures the role of the dollar as the global reserve currency." But there was a quid pro quo. We agreed to guarantee the continuation of the House of Saud, the royal family of Saudi Arabia. And by extension, the national security of Saudi Arabia. Because they're a relatively weak military power. And it's a bad neighborhood – a lot of enemies in the region starting with Iran and others. So the question would be, obviously, did this petrodollar deal work? And it ABSOLUTELY did work. Once it kicked in, the dollar roared. This was the period – sometimes people call it the king dollar period, the strong dollar period. This was after Volcker and Reagan in the 1980s. And since then, the dollar has been in a decline. 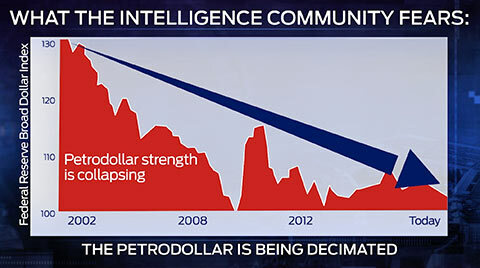 So what could cause the fall of the petrodollar? Well, we're seeing it in real time. Think of it as a three-legged stool. So, here's the stool and it's got three legs. As long as the legs are standing, the foundation is firm and the dollar will remain as a global reserve currency. But, one by one, those legs are being pulled out. Well, the first one is Saudi Arabia. That was where the petrodollar deal began. Our side of the deal was we would guarantee the national security of Saudi Arabia. President Obama stabbed the Saudis in the back by anointing Iran as the regional-hegemonic power. You know, the President has been withdrawing American power from around the world and his view is, well, we'll leave a friendly cop on the beat. Every sort of bad neighborhood around the world will have a cop on the beat. The President has decided that Iran is going to be the cop on the beat in the Middle East. They're going to be the heavyweight regional power. Where does that leave Saudi Arabia? Out in the cold. "Wait a second, you've undermined our national security, you've reneged on your side of the petrodollar deal, why should we hold up our end? Maybe we'll start pricing oil in gold or euros or maybe Chinese yuan." Because now, increasingly, Saudi Arabia is selling more and more oil to China. So, the first leg of the stool has been pulled out. The Saudis are going to back away from the petrodollar, because we are no longer guaranteeing their security – we're playing footsie with Iran. The second leg of the stool is Russia. Now, Russia is not a member of OPEC, but they are the world's largest oil exporter, one of the world's largest energy exporters, actually bigger than Saudi Arabia. So even though they're not a member of OPEC, they also price oil in dollars. So, they've signed onto the petrodollar deal in their own way. 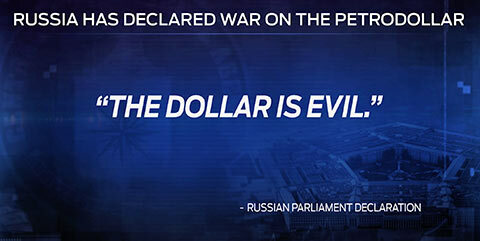 But, we're now engaged in financial warfare, Russia is ready to fight back. And this is not classified information. This is being said publicly. 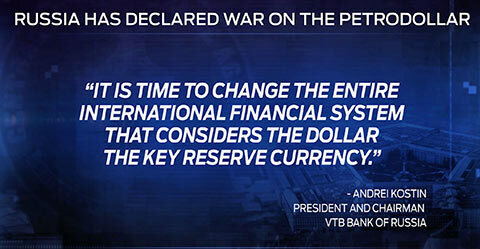 "It's time to change the entire international financial system that considers the dollar the key reserve currency. The world has changed." We will sell rubles to consumers that rely on gas and later we'll exchange the rubles for gold. If they don't like this, let them not do it. Let them freeze to death." So, two of the legs of the stool, Saudi Arabia and Russia, have already been pulled out. The third leg is China. And that is coming out too. This recent $400 billion energy alliance they signed, is that the purpose of it? Russia is the world's largest energy exporter, China is the fastest growing economy in the world, they need energy. So this is a natural partnership between the two. But the dollar is out in the cold. And, China is actually putting these yuan bilateral trade agreements in place all over the world. But once there's enough trade and enough volume in a certain currency, it can become a reserve currency. These are all straws in the wind, leading to the collapse of the dollar as the global reserve currency. 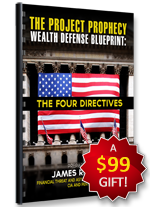 Jim, in your book, you investigate how nations are now using gold as a financial weapon. Is this one of the most dangerous flashpoints? A lot of people look at the dollar and say, "Look, you may not like the dollar, you may worry about the dollar, but you've got nowhere else to go." But there is another place to go, which is gold. You don't have to buy treasuries, you can buy gold. And countries are actually doing that. 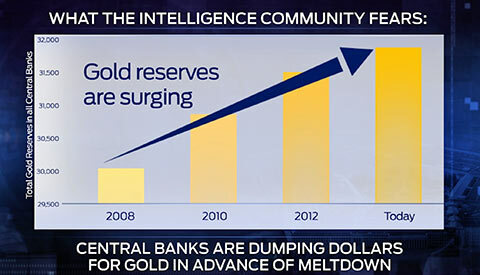 So this is basically a global rebalancing of gold reserves. This is one of the things that the Intelligence Community is watching most closely. And China is our number one case. Here's why: China has acquired more than 3,000 tons in the past four years. Now they lie about this. They officially say they have 1,054 tons. 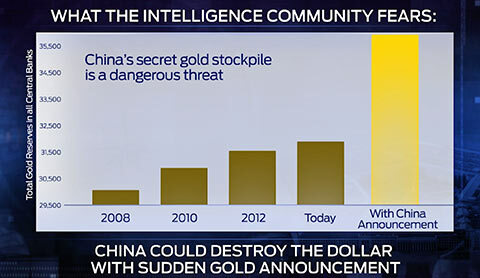 The reason is, China is using their own military and their own intelligence assets to acquire some of this gold in stealth. I recently ran into a senior officer of one of the major secure logistics firms in the world. Secure logistics that means these are people who operate vaults and armored cars. So they handle the physical metal. These are Brinks and G4S and ViaMat. These are the big players in this field. One of these officials said he recently brought gold into China at the head of an armored column of the People's Liberation Army. In other words, he was in an armored car and they had Armored personnel vehicles bringing gold into China. I guarantee that did not show up in the official Hong Kong import figures. Now, why is China doing this? A lot of people speculate that they want to launch their own gold-backed reserve currency, to take the Chinese yuan, back it with gold, make it a global reserve currency. That's not what China is doing. What they are trying to do is hedge against the collapse of the dollar. China can't prevent that from happening. What they can do is build up the gold reserves. This is known to the Intelligence Community. This is NOT publicly revealed. What if it were publicly revealed? Here's what global gold reserves would look like if the amount that China owns were actually suddenly revealed. This is a dagger aimed at the heart of the dollar. Jim, so far all of these flashpoints have involved China. Isn't this an economic suicide mission to attack America? 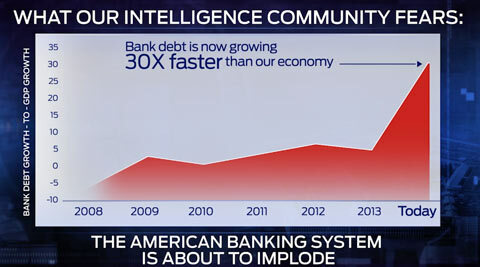 There's something else here, another flashpoint that could meltdown the global financial system. What if the U.S. doesn't bring the entire pyramid crashing down, what if it's China? Well, it could very well be. They have a highly leveraged banking system. But the banking system is just the beginning. There's also something called a shadow banking system. 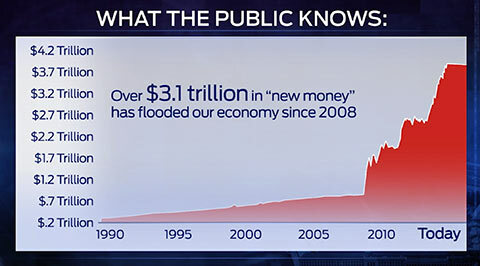 This is now a $7.5 trillion industry and it's up 4,067% since 2005. 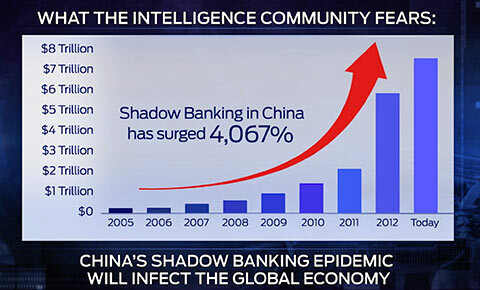 This term shadow banking, it's starting to get play in the press. 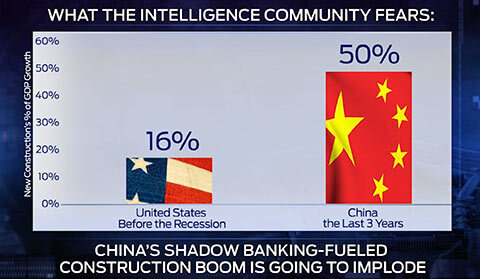 If you put your money in the bank in China, they – it's just like the United States. They pay you nothing, zero maybe, one quarter of one percent, something pathetically small. But, they're offering these wealth management products that pay five, six, seven percent. Well, they're actually – they take the money and they buy mortgages on worthless assets, inflated assets and bubble assets that are going to crash. Before the crash in the United States, before 2008, new construction, as a percentage of GDP growth, that was about 16%. 16% is a pretty big slice. In each of the last three years, construction has been 50% of GDP growth. They're building white elephants, they're building trophy projects, they're building ghost cities. I've been to China – I was with the Communist Party officials and provincial officials, they were trying to get me to bring some businesses there. I went to one place near Nanjing. They weren't building seven buildings, they were building seven cities. And an airport to service all seven of these cities. This construction was going on as far as the eye can see. 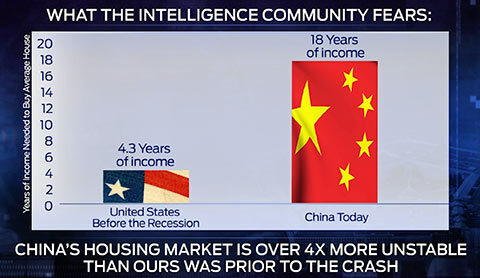 In the U.S. before the crash, it took about 4.3 years of income to buy the typical house . In China, it takes 18 years of income. If they're building apartments, co-ops and condos, and people can't afford them, you know their prices are going to collapse. 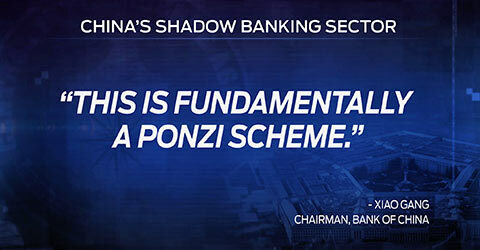 One of the senior banking officials in China said, "This is a Ponzi scheme." Those are his words, not my words. But, we all know what happens to Ponzi schemes, eventually you run out of suckers and they collapse. Once you have enough collapses, there's going to be a run on the banks. The bankers are going to say sorry, we can't pay you, it's not our problem. Well, that's not going to be good enough. Riots are going to break out. What does it mean when the world's second largest economy hits the brakes? That's going to be disastrous to global growth; it's going to pull the rug out from under the sky-high valuations we're seeing in the U.S. stock market. This is a set-up for an entire collapse of the global economy. Jim, there's one more flashpoint I'd like to talk about. To replace the dollar as the world's reserve currency. It's not just my belief. It's a ten-year plan to replace the dollar as the global reserve currency. 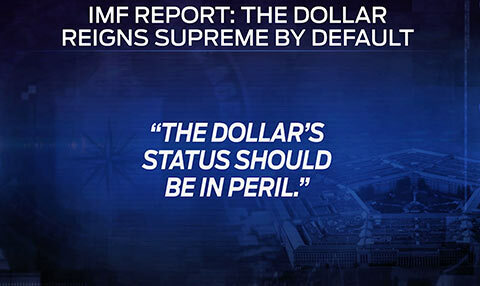 The IMF released a report this year, it was called – and get this title – "The Dollar Reigns Supreme By Default." "The aggressive use of unconventional monetary policies by the Federal Reserve, the U.S. central bank, has increased the supply of dollars and created rifts in the financial system. The dollar status should be in peril." Reserves are nothing more than a savings account for a country. That's the amount of money they've saved. But, the problem is, when you have it you have to decide what to do with it. You can't just stick it under a mattress, so to speak. A lot of people think that the dollar will prevail because there are no good alternatives. The dollar is declining sharply, as a percentage of total global currency reserves. Some of the other currencies come up. But, there's another outcome, that's probably coming a lot sooner. We have a financial panic in the world. If a central bank has to re-liquefy the world, where is that money going to come from? It can't come from the Fed, they're leveraged 77-to-1. 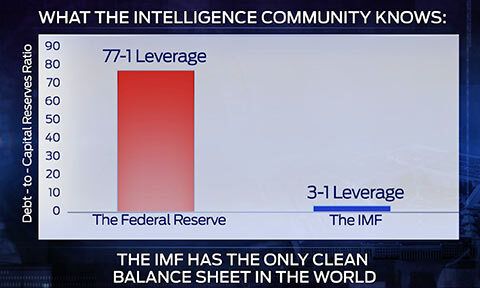 There's only one clean balance sheet left in the world… the IMF's. The IMF, believe it or not, is only leveraged 3-to-1. When the next crisis comes, it's going to be bigger than the Fed. The only source of liquidity in the world is going to be the IMF. The Federal Reserve has a printing press, they can print dollars. The European central bank has a printing press, they can print euros. The IMF, the International Monetary Fund, has a printing press too. They can print something called the Special Drawing Right, or the SDR for short. These SDRs can come along as a new reserve currency. The reason they came up with the name Special Drawing Right is because if they called it "world money" that would sound a little spooky and scary. But that's exactly what it is. This may be a ten-year plan. We're not going to make it ten years. This collapse will happen a lot sooner than that. So they're going to have to dust off this playbook and run out these SDRs and print trillions of them to prop up the system. Who runs the IMF? Who's really in charge? Well, it's a nice crowd. Printing "world money" called the SDR. You've only scratched the surface of what you reveal in your book. Regardless of which flashpoint unleashes the 25-year Great Depression, folks need to understand it's coming, and coming quick. There is a mission in this book and it's urgent and it's important. This could all start within the next six months. Americans right now are standing at the very bottom of a tall mountain… Mt. Everest, Mt. Kilimanjaro. About halfway up the mountain, there's a catastrophic avalanche barreling down towards us. The one flashpoint that's going to speed this chaos up shouldn't be our focus. Recognizing the severity of the situation and moving to safety should be. So, mission one is helping people hold on to what they've got. That's going to be more than half the battle ahead. That we'd like to send free copies of The Death of Money: The Coming Collapse of the International Monetary System, to everyone who is watching this interview. Now, it's on bookshelves, it's being sold for about $28. But, I want to point this out. The version we're sending folks is different than the one being sold in stores. And the reason why is simple. What we're talking about today is not light reading material. The book investigates everything thoroughly, except for one part. It's what our government calls – and to be clear, this is what they call it – "the Day After Plan". This describes what America and our government will be like when our economy collapses. 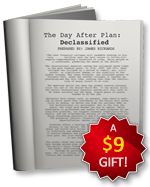 Now, I have an unpublished chapter that does outline this situation, it's called The Day After Plan Declassified. I didn't put it in the book that was originally released, because it is controversial. The picture I paint is far from pretty. Because folks watching this interview are more prepared to see this intelligence and these scenarios. 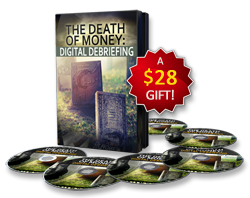 You created a six-part video series you're calling, The Death of Money Digital Debriefing. Here's why I put that together. It's impossible for anyone, me or anyone else in my line of work, to give you an exact day and time this collapse will begin. We just know it's coming and coming soon. However, there are crystal clear warning signs that will appear in our economy and in our markets. So, across this video series I walk folks through the seven major signs. I give you the exact signals to watch for. The announcements you'll hear from certain world governments and the Federal Reserve. I examine, even further, the flashpoints that could ignite this nuclear meltdown in our economy. I explore the secret bubbles nobody is talking about. I share more findings from the Intelligence Community about Russian, Chinese, and Iranian activities against America. Across this video series I help folks analyze their investment portfolios. I show them how to adjust their allocations accordingly for numerous scenarios that could unfold, because this is a fluid situation – it's volatile. Where folks should be looking overseas to invest. It's a point-by-point examination of each of these areas. Jim, we'd like to rush copies of your book, the unpublished chapter, and this six -art digital debriefing out to everyone watching. You helped lead a CIA mission called "Project Prophecy." The goal was to identify the signals in the financial markets and economy that threatened our country. 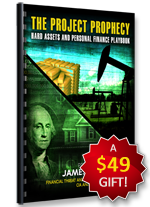 With this re-launch of Project Prophecy here, you're applying this same methodology to helping everyday folks build this unbreakable wall around their wealth. Let's talk about what you've created. Steve, I realize much of what I've revealed today is a shock to the system. America is facing one of its darkest periods. And some of the measures folks are going to need to take to protect themselves may be outside of their comfort zones. So, I'm going to take a hands-on approach here. My book, the unpublished chapter, and digital debriefing will give them the big picture. But, folks also need to know the exact investments to target and the ones to avoid. They need to rethink how they handle their personal finances. To help them I've prepared a set of intelligence briefings. 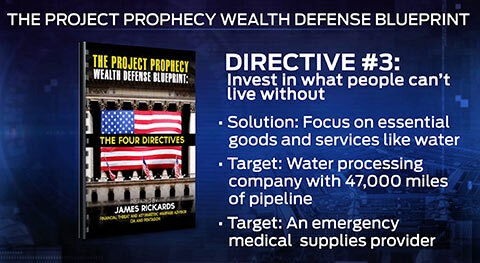 The first is called, The Project Prophecy Wealth Defense Blueprint: The Four Directives. And, with each directive, I have specific investments targeted. Let's examine each of them. The next time the dollar falls – it won't be the first time. 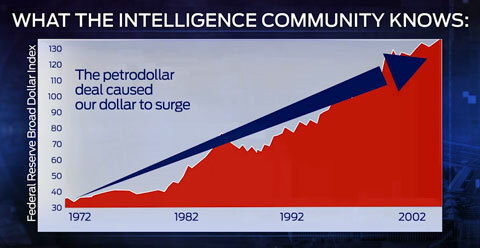 The dollar almost collapsed completely in the late 1970s. Between 1977 and 1981, a five-year period, cumulative inflation was 50%. If you had insurance, annuities, any kind of fixed income, retirement income, savings in the bank, you lost half your wealth in a very short period of time. What we're talking about now could be a 70 or 80% collapse, maybe even more. The best way to handle the dollar's fall – and this is what I focus on in the briefing – is to invest in the euro. What people have to understand is the euro is not an economic project. And if the political will is there, directed from Germany, the euro is going to hang together. 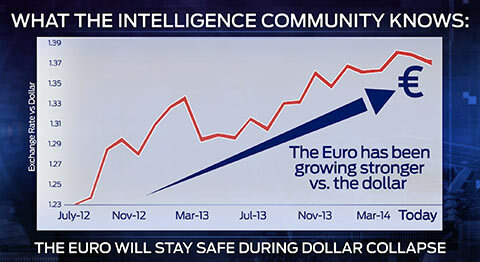 We have a chart actually showing the euro's rise against the dollar. So just imagine all the talk about the collapse of the euro and yet the euro is actually getting stronger. And, by the way, everyone knows that the United States has 8,000 tons of gold. 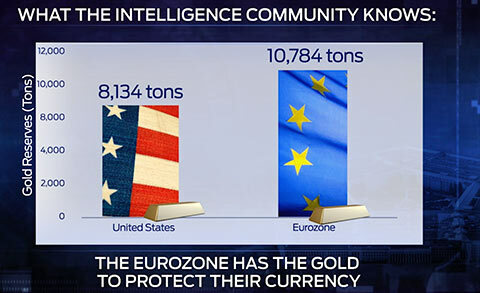 Well, Europe has 10,000 tons of gold. Europe is the largest gold holder in the world. So, they actually have the gold to back up the euro. Now, you don't have to open a foreign bank account to invest in the euro. 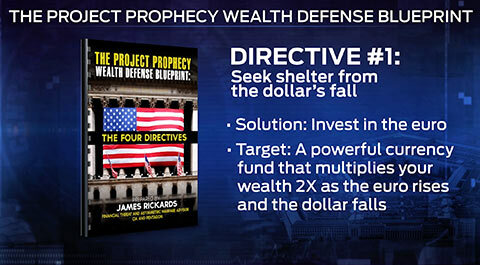 In this Project Prophecy Wealth Defense Blueprint, I'm recommending a specific fund that rises twofold as the dollar falls against the euro. This is a very strong defense play because you are getting twice the return from both the dollar's fall and the euro's rise. So walk us through this second directive in this briefing. The stock market is going to fall 70%. Now, does that mean you shouldn't hold stocks? Folks should make that decision for themselves. But, there are ways to use the market itself as a safety net. I'm recommending we target the sector that will experience the most severe consequences of this collapse, the financial sector. The companies that are holding all these stock derivatives. These are going to fall harder and faster than anything else. So, I examine a specific fund in this briefing that is heavily weighted against the financial sector. It rises 3% for every 1% the financial sector pulls back. So, a 25% pull back, that's a 75% return from this fund. If it falls 70%, now you're looking at a 210% return. What this fund allows you to do is use a small amount of capital to multiply your protection against a market crash. So, take us through the third directive. When America experiences this worst case scenario we are predicting in the Intelligence Community, people won't stop needing food. They won't stop using energy. They won't stop using essential goods and services. This is where folks should be looking now. So in the briefing I'm recommending water investments, because you can't live without water. 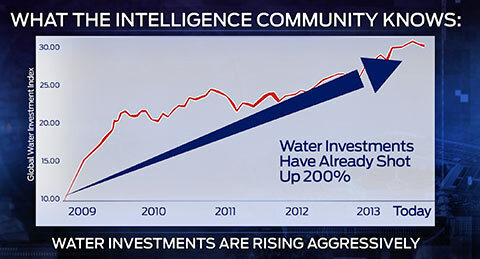 And we're already seeing water investments begin to take off. This sector has been surging since 2009. It's up about 200%. I'm targeting a water processing company that operates 47,000 miles of water pipelines across 16 states and 1500 communities. Now, this is a sleeping giant income play. This water processor's dividend has grown every year. And, income is something we can't live without either. And, besides water, the briefing also focuses on a company that provides emergency medical supplies, because that's also a necessity. Jim, you have one more directive in this briefing. Yes, Warren Buffet's secret weapon. You know Warren Buffet has this reputation as the avuncular oracle of Omaha, the stock market investor's best friend. But, I say when it comes to billionaires, don't listen to what they say, watch what they do. Warren Buffet's recent acquisitions have been very revealing. A few years ago he bought the Burlington Northern Santa Fe Railroad. He bought the whole railroad. He actually took it private. But what is a railroad? A railroad is nothing but hard assets. They have right-of-ways, mining rights adjacent to the right-of-ways, rail rolling stock, yards, switches, signals; it's all hard assets. How does a railroad make money? It moves hard assets in the form of freight, coal, wheat, corn, steel, cattle, etc. So a railroad is the ultimate hard asset play. It's hard assets making money moving hard assets. What was Warren Buffet's next big acquisition? He bought oil and natural gas resources, another hard asset. And by the way, he can move his oil on his own railroad. He doesn't need the Keystone Pipeline. When you line up 100 tanker cars on a railroad, that's a pipeline on wheels. So Warren Buffet is a guy who's dumping paper money, getting hard assets in the form of railroads, oil, natural gas. If it's good enough for Warren Buffet, it's good enough for everyday Americans. This is the most important of the directives, so I have the top six companies who have built these hard asset escape plans into their business models. 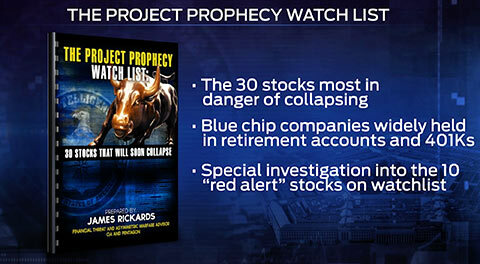 The second intelligence briefing you've created is called: The Project Prophecy Watch List: 30 Stocks That Will Soon Collapse. 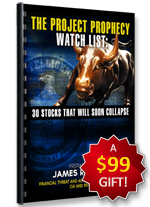 Steve, during the original Project Prophecy for the CIA we built a tracking system, a watch list of the 400 stocks most likely to signal a coming attack on America. But, in the years that followed, we kept modifying its capabilities so it could identify the companies that were in danger of collapsing. This intelligence briefing reveals the 30 stocks that are now at the top of that list. Now, when folks see these stocks, it may shock them. These aren't micro caps or small caps, because they don't have the capability to do widespread damage. These are 30 of the most widely held stocks in the retirement accounts and 401ks of everyday Americans. Most are large blue chip. That means everybody watching today is probably holding one, two, or more of them. And they are vulnerable to complete annihilation. Now, inside this list of 30 I've singled out the 10 that are currently at a red alert status. This means if you were holding them today you need to not be holding them tomorrow, because the clock is running out on them. They're already at risk of failure before the worst of what's coming appears. 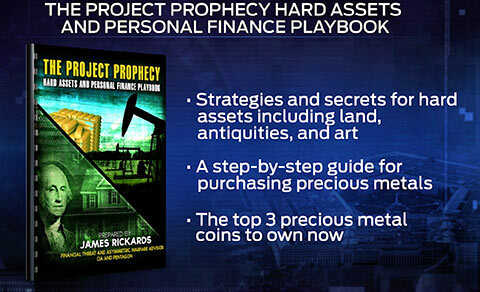 Now, let's talk about the final intelligence you've created: The Project Prophecy Hard Assets and Personal Finance Playbook. I'm advocating people – if they aren't already and they have the means to do so – to start exploring adding hard assets to their overall portfolio. This intelligence briefing covers them all, from land, including farmland, to certain antiquities and art that holds value, as well as physical currencies and precious metals. I'd like to focus on one precious metal in particular, gold. Now, in the book, you reveal how China has successfully manipulated gold's price to keep it low, while they stockpile it in their reserves. But you're bullish on it moving forward. However, you do write that people may be taking a dangerous approach to gold investing. It has become fashionable in recent years to invest in gold ETFs. The GLD ticker is the headliner. The logic on the surface makes sense, you can secure gold without having to acquire it physically and store it. You can even, theoretically – at least, they tell you – you can cash in your ETF shares for physical gold if you so choose in the future. This is the problem – that's not true. The everyday American does not have that ability. Here's how to think about the gold market. Imagine it's a pyramid, but it's inverted. The point is down at the bottom and wide base is at the top. There's a little tiny bit of physical gold at the bottom. On top you have all these forms of paper gold. These are all what I call paper gold. They give you contractual rights but there's no assurance you'll ever get your hands on physical gold. 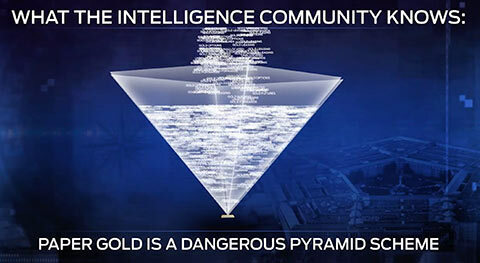 Now, what's happening is this whole pyramid is getting larger and larger, but the amount of physical gold, the floating supply, is disappearing. Once it goes to Shanghai it's no longer a part of the floating supply. That gold is never going to see the light of day, at least not for several hundred years. So, the total supply may be unchanged, but the floating supply is dropping. That means this little brick at the bottom of the pyramid is getting smaller and smaller. One of two things has to happen: either that paper pyramid has to shrink, or the whole thing is going to become wobbly and tip over. So, if you have GLD, you only have shares and you will only ever have shares. You cannot get your hands on the gold. 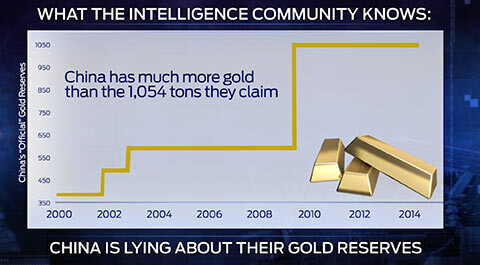 So, with this intelligence briefing, I tell folks to stay away from gold ETFs. Instead, I talk about three specific precious metal coins they'll want to look into immediately. Now, let's examine how folks can fortify their personal finances from these dangerous times that are fast approaching. This is very important, because if you protect yourself with your investments, yet don't take the same measures with your personal finances, you'll experience the same outcome and it won't be a good one. The bank you choose to keep your money in is now a critical decision, because that bank may not be around next year or the year after, as everything escalates. So, I talk about the safest banks and credit unions, these will not collapse. You should make sure your money is in one of them. I show folks which CDs and conservative income opportunities are most shielded from risk. I talk about the ten safest cities for the future. These are the ones with the strongest local economies. They have industries that will continue providing jobs, their crime rates are low now, and they have the best chance of staying that way, even in the darkest times. Retirees should be looking near these areas. Plus, I also examine which careers will be the safest, because real unemployment and underemployment is already an epidemic, but it's going to get much worse. 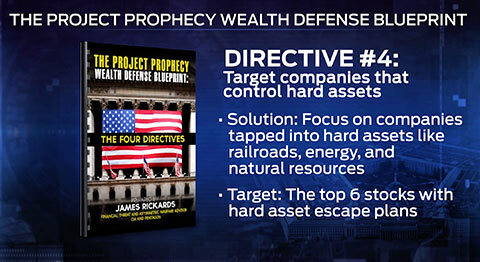 Jim Rickards, what you revealed today in this interview is nothing short of a wake-up call. Thank you for joining us. Today, Jim Rickards stepped forward to warn you about a coming catastrophe the Intelligence Community fears is at our doorstep. But, as you saw, he's also working to help everyday folks across the country prepare for it. And we at Money Morning want to do our part as well. That's why we'd like to send you a free copy of everything Jim has prepared. What he's calling the Project Prophecy 2.0 Action Plan. 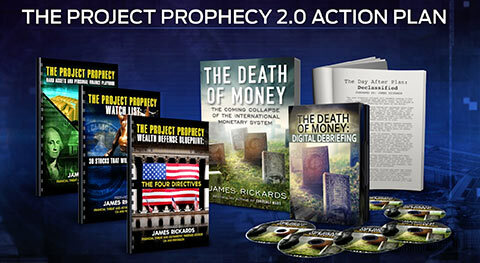 You can click here to claim this Project Prophecy 2.0 Action Plan for free. And I strongly suggest you do so. There isn't much time left to protect yourself. Simply call 1.866.460.9039 or 1.443.353.4384 (for international callers) from 9 am to 5 pm (Eastern Time) – and be sure to mention Priority Code WMMRQ811. I want to thank you for joining us today.